I am obsessed with garlic, always have been. The smell, the taste, but most of all, it’s versatility. Everyone knows that garlic is used to add flavor to foods, but not everyone knows that for ages it has been used as medicine, due to its many therapeutic properties. Like most other foods, when you eat or use it in raw form, that is how you get the most benefits. I know a lot of people aren’t huge fans of raw garlic – it can be pretty potent in smell and flavor, but have you tried black garlic?!?! I’m addicted. Black garlic is fermented for at least a month, which is what changes the color and consistency. Unlike regular white garlic, black garlic is soft and spreadable (garlic bread just got easier) and it doesn’t leave you with horrible garlic breath 🙂 No joke, it’s great on its own! But back to the black garlic…. It is rather sweet and very mild in flavor – reminds me a little of balsamic vinegar. 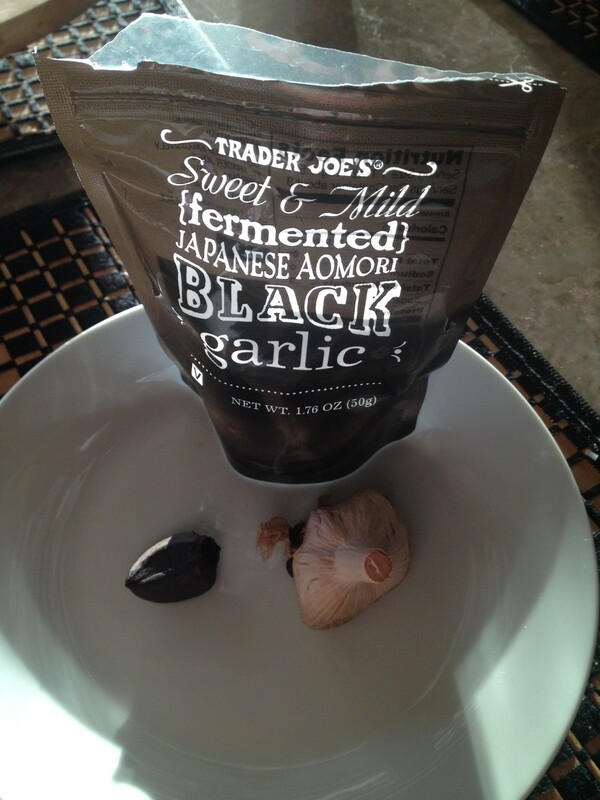 For those of us who choke down raw white garlic to prevent or treat a cold, use black garlic instead! We get ours from Trader Joe’s, but I’ve also heard that Whole Foods carries it as well. Prev It Just Got Easier!